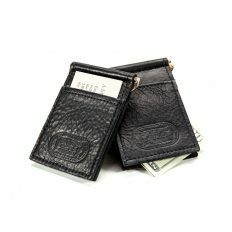 We handcraft Buffalo leather wallets & billfolds made in USA. 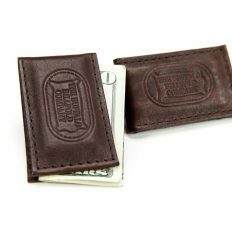 These Bison leather wallets are tough & durable. 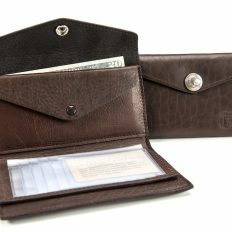 Our billfolds are so strong because they’re made with Full Grain Leather from American Bison hides. 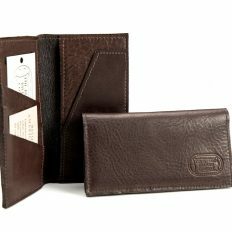 Using full grain leather in our leather bill folds is important because you deserve something that doesn’t fall apart quickly. And we definitely make a long lasting buffalo wallet / leather billfold. Some customers have returned after 30+ years to purchase their 2nd bison leather wallet! 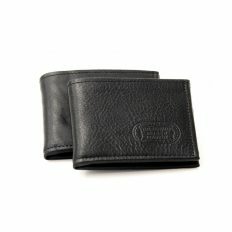 If you try a Buffalo wallet, let us know how long it lasts for you! 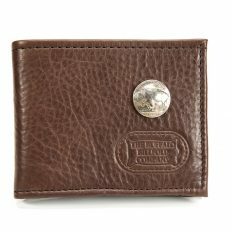 You won’t find buffalo leather wallets like ours anywhere because our leather is a work of art in itself. We’ve developed our tanning recipes over 45 years because we want to bring you something special. We use this high quality American Bison leather in our handmade leather wallets and handmade billfolds. Our Buffalo leather billfolds extra strong and durable because of this bison leather. 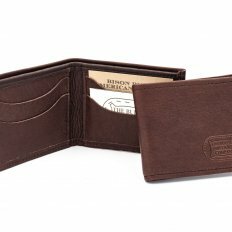 You can be assured that our bison leather wallets and bill folds are time tested and built to last. 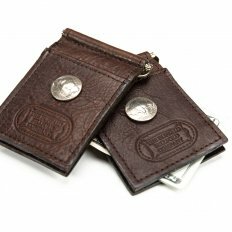 Customers like our leather two fold wallets, three fold wallets, and other varieties of bison leather wallets and bill fold because of their classic and modern designs and sizes. 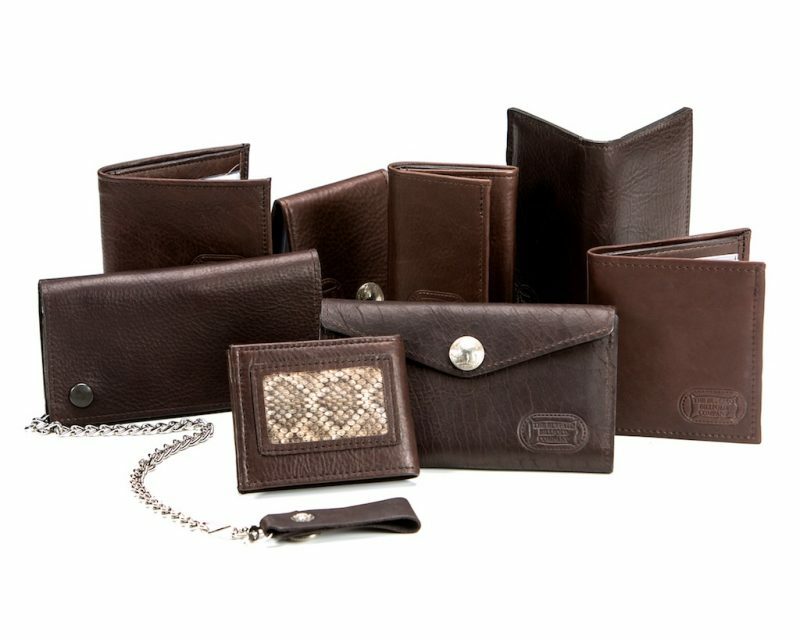 We offer medium and large leather wallets, small front pocket wallets, checkbook wallets and money clip wallets. The wallets and billfold come in black, brown and some leather goods come in russet red. 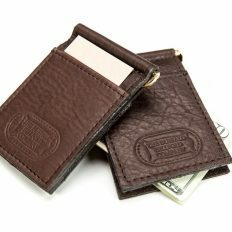 Our handmade mens leather billfolds have bill slots, credit card slots, ID windows, and checkbook register holders. 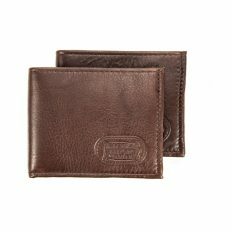 Your buffalo leather wallets will last long and develop an amazing patina as they age! 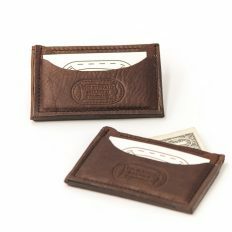 We have a variety of handmade buffalo leather wallets & bill folds Made in the USA. This isn’t a new trend for us. We’ve been crafting handmade leather billfolds since 1972. 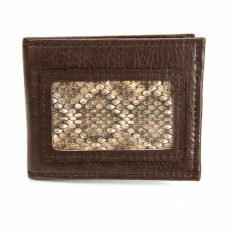 We create all sorts of handmade American Made mens leather wallets and bill folds, women’s leather wallets, leather money clip wallets, leather chain wallets. It’s important that we find the best pieces of leather for our full grain buffalo leather wallets. We cut and sew these pieces of full grain leather to bring you Bison leather billfolds that are strong, durable, rugged and time tested. 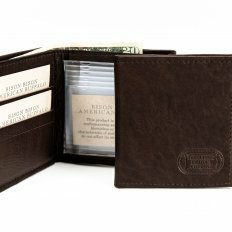 We keep our leather wallet billfold made in the USA because we want to provide jobs in America. That’s just how we roll. And it’s how we bring you the best leather billfold around! Billfolds for men don’t get stronger than this. Each Buffalo Billfold Wallet is handmade using the toughest leather. These are the best leather billfold around. Full grain leather is not the same as top grain leather. 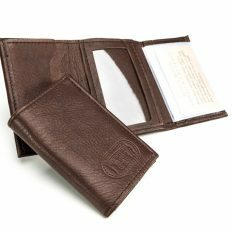 A full grain leather billfold wallet will retain all of the natural fibers and grains from the very top of the leather. This means that all of the natural markings of the Bison leather remain. A billfold with top grain leather means these strong fibers sanded off. 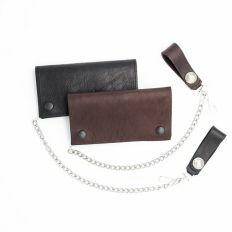 And American Bison leather, or buffalo leather, is very strong, making it ideal to use in handmade leather billfolds. Each buffalo wallet we make is made of solid leather. We don’t cheap fabric lined products because they wear out far too quickly. We want each of our handmade leather bill folds to last a long time because there is too much waste in this throw-away world we’ve come to live in.